Get involved and let everyone know how your credit union is making a difference in young members’ lives. During the month of April, we will be having a selfie/photo contest on Facebook. Take a picture of yourself showing a future goal that you have and post it on Facebook using the hashtag #financialpartnersfcu Be sure to share your pic with all of your friends because the junior partner selfie with the most likes at the end of April will have $100 deposited into their junior partner account. In addition to this contest, we will be doing some community fundraising that will benefit our local kids. Check out the details at each office all through the month of April. The future is yours! Spring Break is just around the corner-use your money with added security! 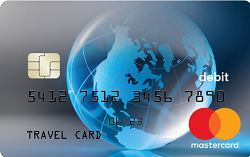 Get the most out of your vacation money with a Travel prepaid card. Use the card to budget and plan for travel expenses. When you’re ready to go, just grab your card and you’re all set. Funds are secure from loss and theft and are kept separately from personal accounts. Your security is very important to us. Please click here for a summary of steps you can take to protect yourself. Start the search for the perfect car right here!